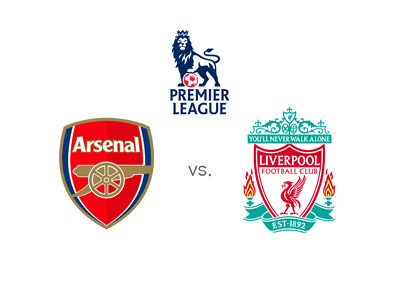 Arsenal host Liverpool in the third round of the English Premier League on Monday August 24th, 2015. This is one of those games that is always welcome on our TV sets. Game of the week in European football for sure. Arsene Wenger's team looks to make up for their season-opening loss to West Ham in front of the home supporters. It is too bad that the two England internationals Jack Wilshere and Danny Welbeck are out injured so early on. Jack Wilshere ended last season on a high note and many were wondering what it would be like having him fully fit and injury-free. Good thing for the Gunners is that Mesut Ozil is finding his EPL form and that Alexis Sanchez is, as usual, on fire. Liverpool only beat Arsenal away once in the last 15 years. Maybe with the likes of the tricky attacking midfielder, Philippe Coutinho, the dependable new signing James Milner and the imposing new man up front, Christian Benteke, they will have a chance? The team's central defender who struggled in his first season with the Reds, Dejan Lovren, played well in the first two games in August so far and is someone that the fans can be excited about. Coming into this game, Arsenal have 3 points and Liverpool 6. Last season this fixture resulted in a 4-1 victory for the home side. Can one of these two teams finally connect the dots and go all the way to win the title? But you never know. It is going to be a long seasons and both of these teams have the quality to do it.